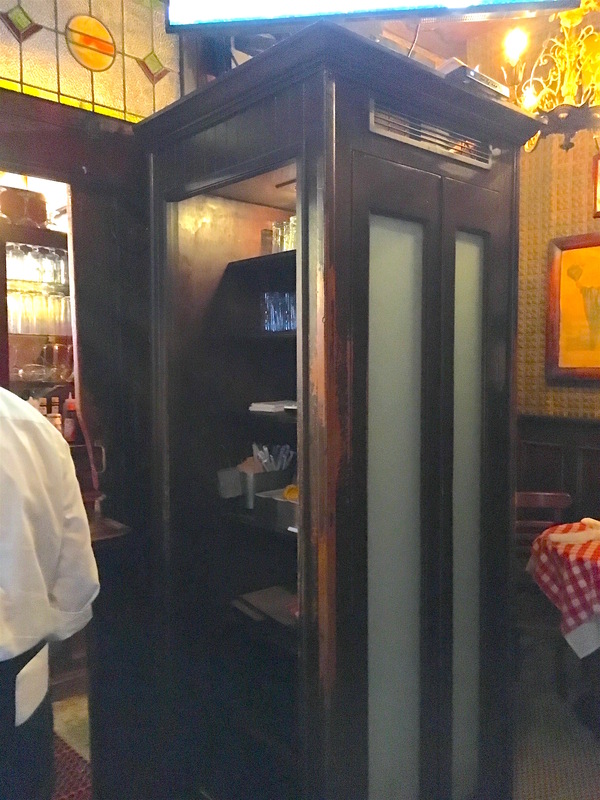 They’re rare, but a few are still out there: the lovely wood booths New Yorkers used to slip into (closing the hinged door behind them for privacy and not to disturb anyone) to make a phone call. Old bars are a good place to look for them. 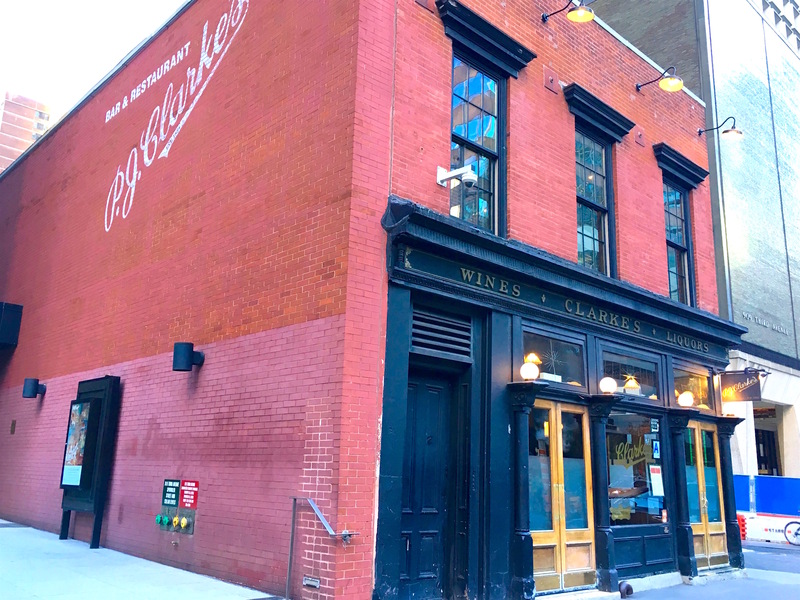 The Ear Inn, on Spring Street, is one of the city’s oldest taverns—and right inside the front door is a beautiful vintage booth (above) with a stool, overhead fan, and a stand that supports an ATM machine. 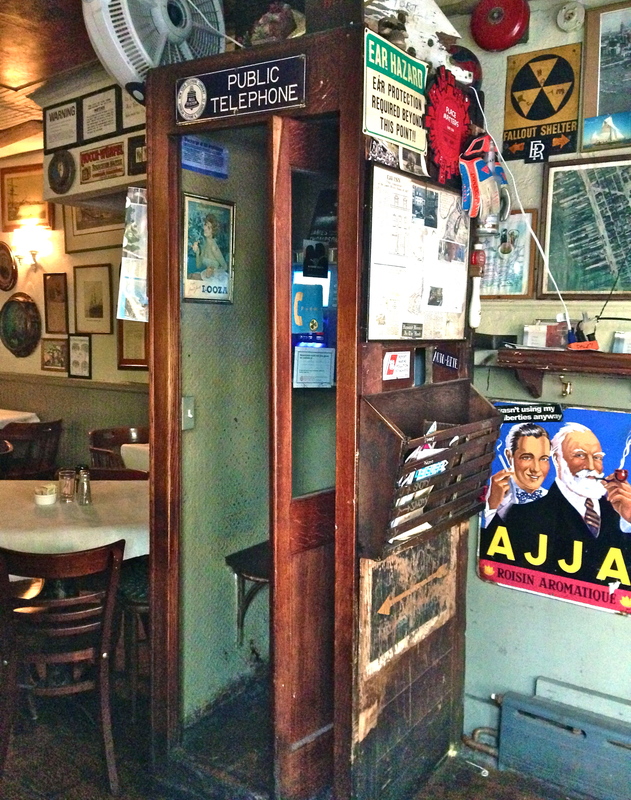 In better shape but also lacking a phone is this wooden booth, located on the second floor of the magnificent headquarters of the General Society of Mechanics & Tradesmen, at 20 West 44th Street. 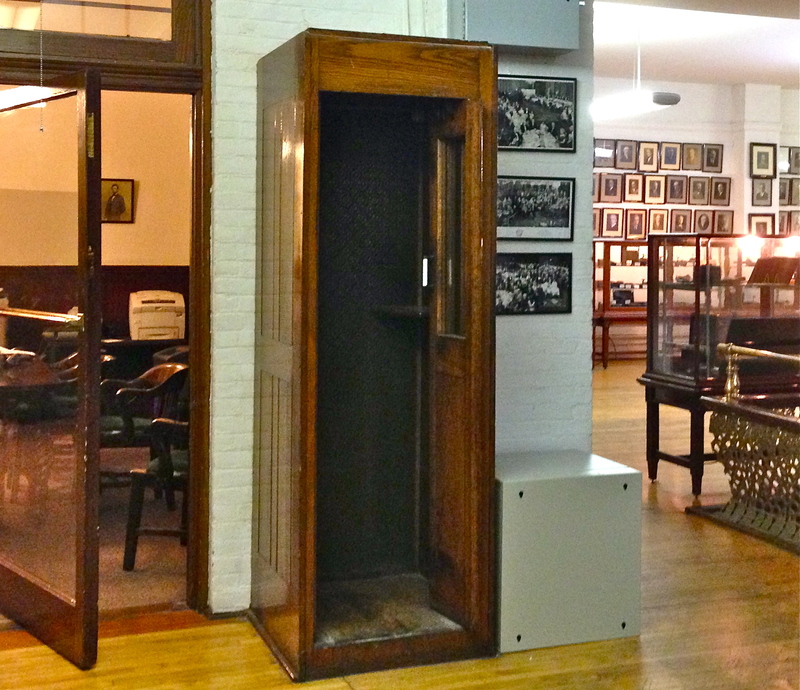 The door is also hinged, and there’s a little stand where the phone once sat. A label inside actually notes that the booth was patented in 1919 and lists a phone booth distributor in Brooklyn called the Turner Armour Corporation. The phone is lovely, but the building itself is a marvel of wonderfully preserved wooden book cases, light fixtures, interior detailing, and a soaring staircase out of the movies.